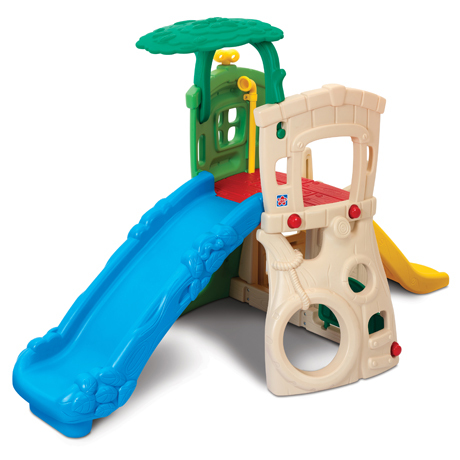 Jungle Themed Climb and Slide and Hide! 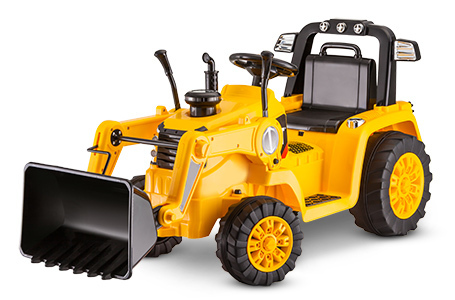 Are your little ones ready for hours of active fun and play? 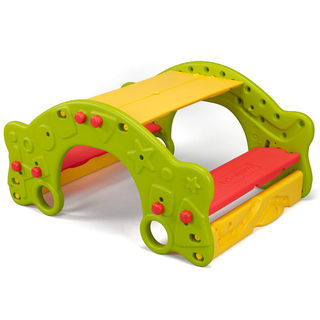 Our 3 in 1 Climb and Slide will surely keep them active crawling, climbing and sliding! 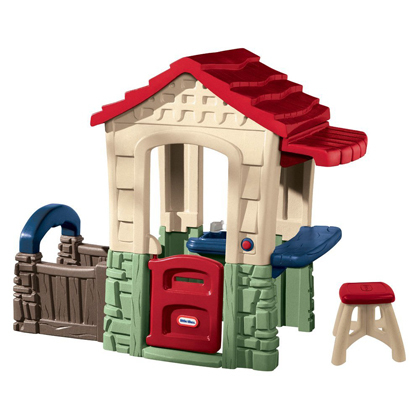 With pretend telescope and microphone, a jungle theme, two different levels for the slides and opening door on lower level, this colourful toy is sure to be interactive! Suitable for indoor and outdoor use.